For some accountants and other business owners, cloud computing opportunity and cloud accounting are still big mystery zones viewed through a rear-view mirror. But for many other progressive accounting and bookkeeping firms, they are already working in the Cloud Computing Opportunity and greatly enjoying the work and cost-savings luxury of it. Small to medium-sized enterprises (SMEs) are looking to slash expenses and other costs any which way they can and CPAs can actually offer more value-for-price services to these SMEs by being able to provide real time interactive service rather than the traditional annual engagement and related post real time conversation. “The big hurdle is that accountants must be able to view cloud computing as a big opportunity rather than a threat. They must be willing to take the lead in this new phase of business, adds Keller. With the new cloud technologies, an accountant can provide timely reports and advice to SMEs so they can stay in business during these tough economic times. 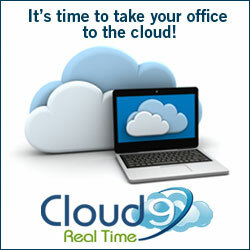 Read more about How Cloud Computing Is Changing The Accounting Industry in our prior blog post. Remember the sage wisdom of Mark Twain…..